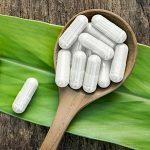 A quiet and unassuming mineral, magnesium – one of the least talked about nutrients – holds vital importance for human health. A catalyst in the bod, over 300 enzymatic reactions rely on magnesium to happen. Magnesium can relax the muscles and some claim it helps with symptoms associated with restless leg syndrome. Orotate, a type of magnesium salt from orotic acid, is common in many mineral supplements. 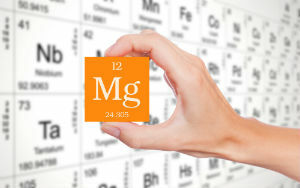 Its function is the same as other types of magnesium, and research shows that it holds specific benefits for the heart. Magnesium orotate is magnesium salt bound to orotic acid. 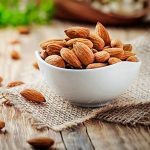 It's the most easily absorbable form of magnesium and passes easily through the cells in your body, especially when compared with other types of magnesium. 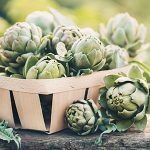 If you need magnesium supplementation, as most people do because the Standard American Diet often lacks foods high in magnesium, magnesium orotate is the best you can get.. Chronic low magnesium status is one of the leading contributors to osteoporosis. Older adults tend to have lower dietary intakes of this nutrient and are particularly vulnerable to the deficiency. [5, 6] Supplementing with magnesium can help normalize this deficit and encourage bone health. 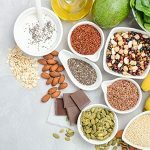 Magnesium plays an important role in so many of the body's processes, it is important that you know where you stand when it comes to getting enough of this mineral on a daily basis. If you are not getting enough, find a high-quality supplement, particularly one that is combined with calcium orotate. These two nutrients work together synergistically to benefit the entire body. For a high-quality magnesium orotate supplement, consider Global Healing Center’s own IntraCal™. IntraCal combines calcium and magnesium orotates to create a powerful mineral blend that supports the gastrointestinal system, boosts stamina, promotes healthy teeth and bones, and encourages heart health. Rosenfeldt FL. Metabolic supplementaion with orotic acid and magnesium orotate. Cardiovascular Drugs and Therapy. 1998 September;12 Suppl 2:147-52. Castiglioni S, et al. “Magnesium and Osteoporosis: Current State of Knowledge and Future Research Directions.” Nutrients 5.8 (2013): 3022–3033. “Magnesium: Fact Sheet for Health Professionals.” National Institutes of Health, 11 Feb. 2016.